New this year, the DigiPan 5.0 platform is the industry’s most comprehensive and advanced online tax certificate management solution. DigiPan was built exclusively to serve the needs of institutional investors, with eyes on simplifying processes involved with researching, obtaining, managing and redeeming tax lien certificates, as well as cash and portfolio management and collaboration. Combined with Lumentum’s best-in-class tax lien data, DigiPan all but eliminates the time-consuming manual tasks associated with pre-auction and secondary market due diligence. Data from every available county and state is accessible in one place, all in the same standardize format. 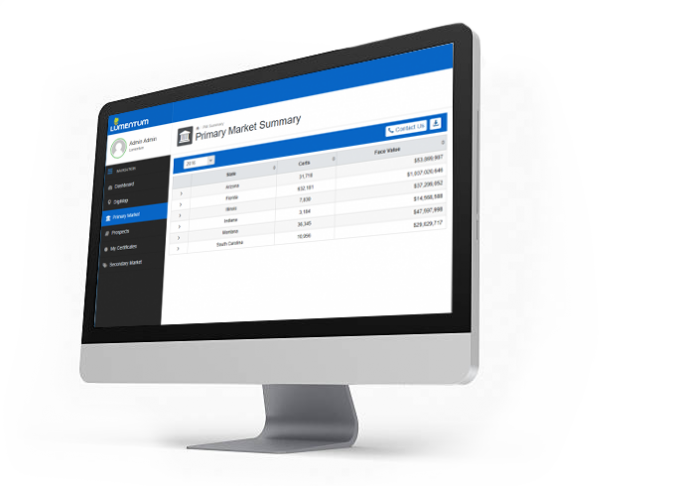 DigiPan doesn’t replace your investment strategy – it makes it easier to carry it out. With all the data you need, all in one place and completely customizable, you can find parcels and pools that meet your needs, then dive deep with integrated maps, data visualization tools and the industry’s deepest filter set. And since we know your IP is valuable, we don’t save or have access to any user research behavior – how you use DigiPan is up to you, and you alone. 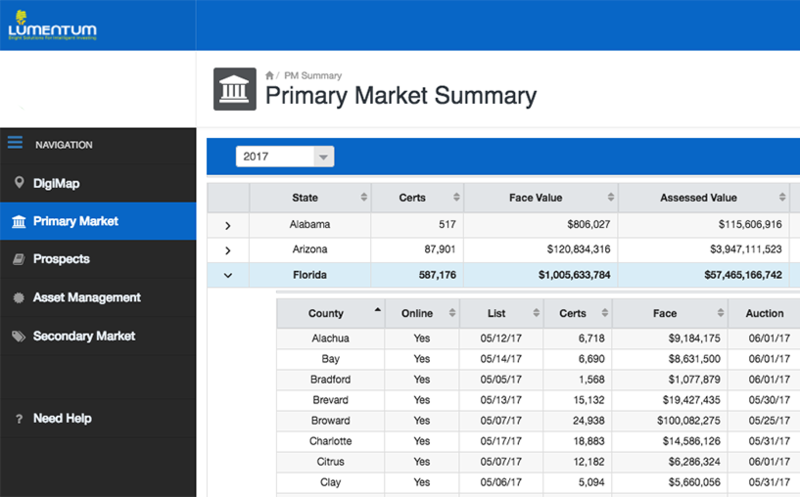 Instantly access up-to-the-minute data from all counties and states, presented in a standardized format. DigiPan isn’t just for due diligence. You can use the platform to manage your existing certificates, and never let another expire again. Use the tools and filters you need to find the assets that work best with your investing strategy, and even save searches for later. Gain a competitive edge with insights into parcel and tax certificate trends, facts and historical data. See maps directly from the DigiPan data view, or get certificate data from within the map view; no more going back and forth between Excel and your browser. READY TO SEE DIGIPAN IN ACTION? Ready to try DigiPan and get free tax lien certificate data just in time for Florida? You're only one step away!